President Obama's administration is chock-full of scientists. 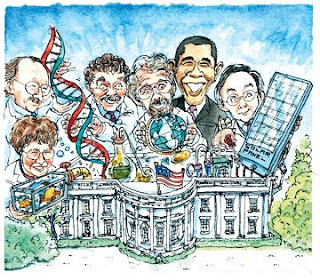 Kudos to all who can correctly name each scientist caricatured in this picture. And if you can't....take a peek at the article it came from.